You’ve managed to get to this page of our website which means that you’re either a current PPC advertiser who is not happy with the return you are getting or you are considering using PPC for the first time. Whether you’re the former or the later we can help, we have a great deal of PPC experience which can help your business. PPC can be quite daunting, get it right and you can get a significant return on your investment, get it wrong and you can be spend thousands without seeing a return. It’s our skill and knowledge which will help your business get the significant return! We’ll work with you to choose the right advertising platform, be it Google Adwords, Bing Ads, Facebook Ads or any other ppc platform. We are very proud to have achieved Google Search Partner status which gives you an added level of confidence in our ability. We will understand your business objectives, develop effective Adwords Campaigns, Ads and Keywords, manage the campaigns and important we’ll measure the conversions from the advertising to help understand the return on your investment. Once we understand your requirements we’ll create the advertising campaign(s). Your ads will be more visible and deliver more customers, increasing your ROI. The answer to this question for most people would be’the sponsored listing at the top of Google search listings’. Whilst this is true it only represents one of the ppc advertising options that are available to you. 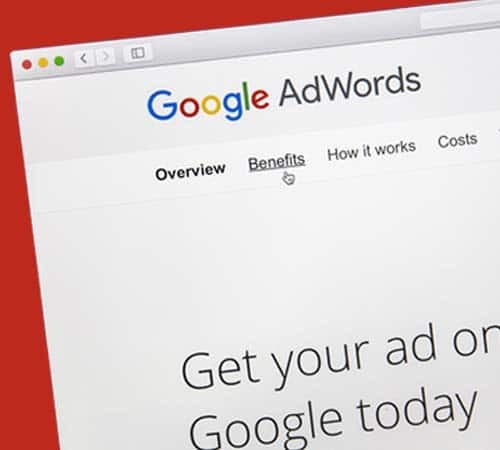 Google Adwords, Bing Ads and Facebook Ads are the three most widely recognised and used advertising options, with Google being by far the most widely used. PPC advertising is a fairly simple process to understand, you effectively ‘bid’ for your ads to be shown for particular keywords or in front of a certain audience. You only get charged when a user clicks on the ad. The key aspect to a PPC campaign is implementing an effective strategy to properly manage the keywords, ads and bids to ensure you get the return you desire. We are very proud to have achieved Google Search Partner status, this means we have had to undertake training and pass exams demonstrating our Google PPC skills. If we’re going to create a ppc advertising campaign that meets your business aims then we need to do some research. We need to understand what your business goals are, who your customers are, what they want, who is your competition and the area you operate in. It is only by doing this digging that we can get a complete picture which will allow us to create the ppc campaign that will be most profitable for your business. Every business and market place is different, so it is key that we understand yours. That way we will make sure we create the appropriate campaign at the right budget which will deliver the right customers to you. We run PPC camapigns for a variety of customers including Hotels in Ilfracombe, Tow Bar Fitters in Bideford and Lock Smiths in North Devon and many more. Ok, so you know that there different platforms you can advertise your business on, you may be forgiven for thinking that it’s as simple as just choosing the right platform. Unfortunately it’s not quite that straight forwards, there’s search marketing, display advertising, product listing ads and remarketing also to consider. We’re not going to explore each of those options in great depth right now, but we will do this for your business as part of our advertising strategy for you. We will consider all of the different advertising to match your advertising goals and your budget with your prospective customers. Whichever PPC options we implement for your business it is vital that we accurately measure the return for your business. 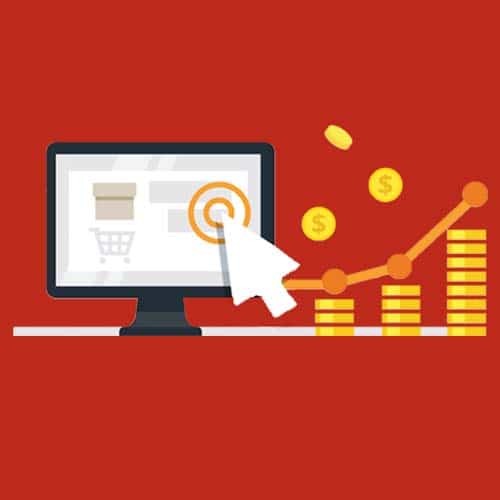 The primary measure for ppc advertising is Cost Per Click (CPC), but we will help you to develop more robust Conversion Tracking in order to better understand the return. It is now estimated that over 50% of local searches take place on mobile devices, so if you want to connect with local customers you need to ensure that your ads reach them. Advances in mobile technology has led to increases in purchases from mobile devices year on year. 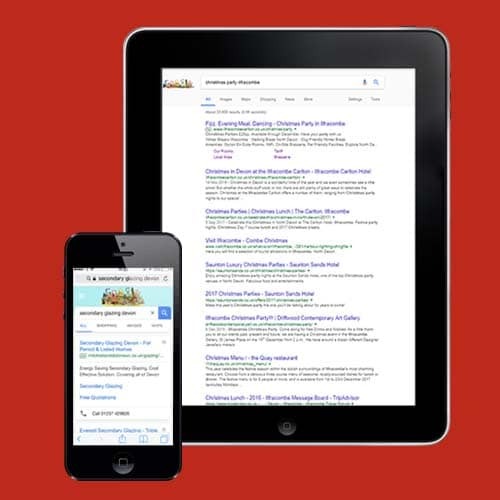 PPC marketing on mobile devices allows you to specifically target your customers on these devices. Location targetting, bid adjustments, call extensions and call only ads are just some of the options we can utilise to help your business stand out. We will take a holistic approach to you ppc advertising, understanding where your customers are and what they want to make sure your adverts connect with them. We’ll also make sure your website is effective in converting that traffic into business. Our web design and development service are extremely comprehensive. Below is listed all of the services that we offer, some are included as standard without our websites, where as others are optional. What we will provide your business depends on what your business requires. We’ll design and built a fully responsive wordpress website that looks attractive, functions effectively and provides a great user experience. A website that you’ll be proud of and will help you to grow your online presence. Over 50% of the UK population now shop online. We can help all types of business exploit this opportunity, whether you are selling direct to the public or targeting other businesses. We will fully integrate the shop with your desired payment processor. Like it or not you cannot ignore social media, you need to make sure that your users can share your content on their social media channels. We will integrate your feeds into your site which will encourage your customers to connect. We are exerts in ensuring that your website’s content is optimised effectively in order to get towards the top of relevant searches and increase your exposure. When we launch a site we make sure that it is fully optimised. Wordpress websites come with a content management system (cms) as standard. It’s extremely easy to use with even a basic IT knowledge. We can guide and train you where necessary to understand how to add, edit or delete content. Most of the websites we design and build include some customisation so they meet the designs and user experience you want. We can go much further than this to develop custom features or whole websites. If you’ve not already got a domain name we can advise you on the best one for you and help you buy it. SSL certificates are becoming another important factor, we can also sort these out for you. Are you a start-up needing a logo and brand guide lines or an existing company with a logo that needs refreshing? We can help you create a logo that matches your business and can be used on company stationary and vehicles. Your website and email can be hosted by us. We don’t use shared hosting, your site will be hosted on our secure server. We create daily back-ups of your site for added piece of mind. We can create e-mail accounts for your business. It’s not enough just to create a website without trying to develop a comprehensive online profile for your business. We can create and manage all of your listings across the internet including things such as Google Places. More and more businesses are using Google Adwords and other Pay-Per-Click (ppc) advertising platforms. We are now Google Certified and are experienced in getting businesses in front of their customers using ppc. ready to become a client now? One of the first things that many of our new clients say to us is that they wanted to deal with a web developer who is local to them, not an agency who's hundreds of miles away. We're based in North Devon but have already got clients across Devon as well as many more who are further afield. Whether you're based in Barnstaple, Bideford, Torrington or across North Devon then we can provide the solution you need.